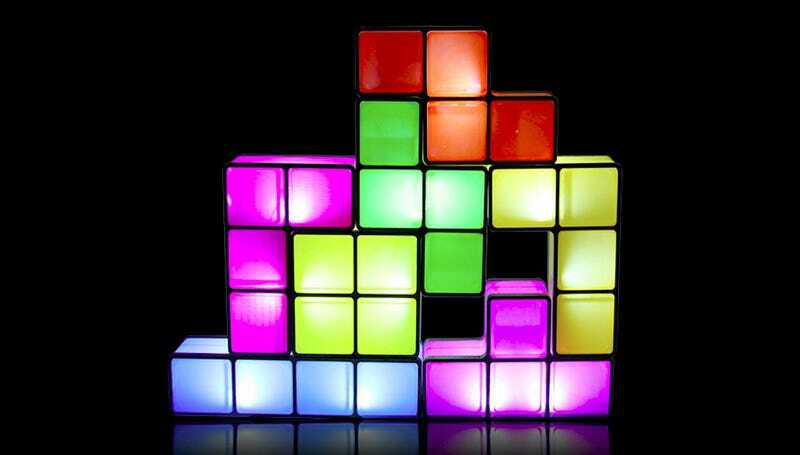 It doesn't include that oh-so-catchy theme song, but as a deskcessory this Tetris lamp is thankfully not just a cheap cash grab tie-in to the famous puzzle game. Well, as an officially licensed product it technically is a cash grab, but it's still pretty neat. The various tetriminos are all individual pieces and they only light up when stacked on top of each other. So everyday you can re-stack it in a different design. Since it's not set to go on sale until September for around $40, I'm not entirely sure what mechanism it uses to detect when the pieces are stacked, or if every tetrimino needs its own battery—which would certainly be annoying.